Weekly rentals available for this spacious 3-bedroom, 2.5 bath townhouse in the Green Harbour Complex of Lake George. Conveniently located between Lake George Village & Bolton Landing. 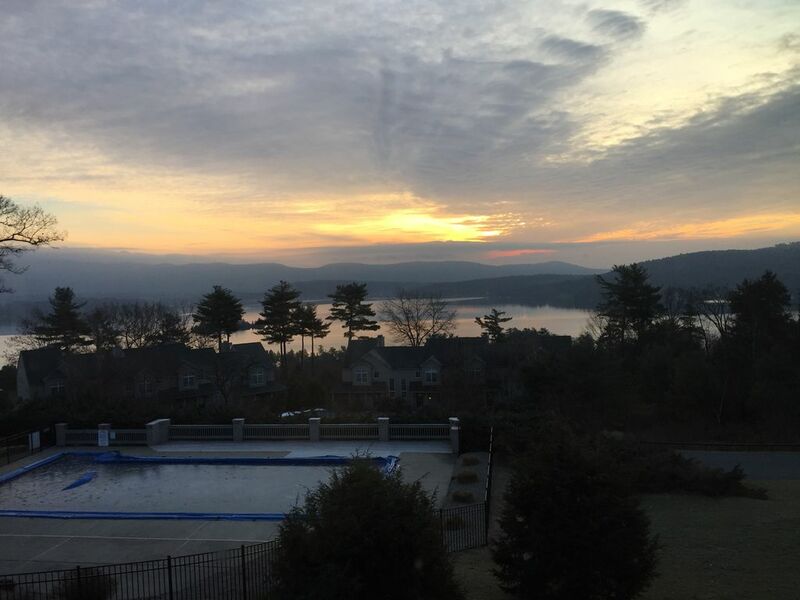 A Great location to enjoy all major attractions in the region while in an upscale townhouse overlooking the beauty of Lake George. Lake views from every room. The main level enjoys a vaulted living room with fireplace, an updated fully equipped kitchen with breakfast bar and dining area. The living room leads to an open deck where the views can be enjoyed in fresh air. The dining area leads to a family room with a 55” TV and its own views. The unit’s upper level contains a master bedroom suite with a beautiful large bathroom and jacuzzi tub. Two additional large bedrooms are on the lower walkout level, with a full bathroom. Central air-conditioning, TV in each bedroom, Digital cable, wireless internet provided. Rental includes use of a large private sandy beach across the street and docking for a 30’ boat. The heated outdoor pool, tennis court, and fitness center are just steps away. Sleeps a maximum of six with a queen bed in each bedroom. NO SMOKING/NO PETS -. Requires a $500 refundable security deposit. New to the rental market - prime weeks are available.